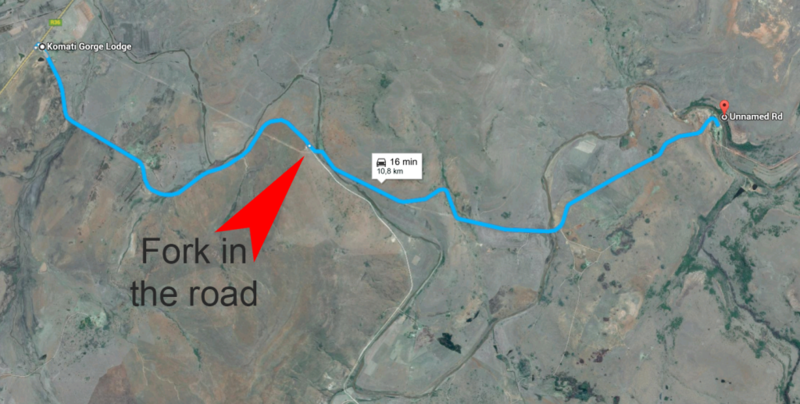 Once you have turned off onto the dirt road from the R36, keep heading straight. After a few kilometers, there’s a fork in the road – keep left here. Contact the Lodge when you reach the reserve’s gate; continue until you arrive at the Lodge’s Reception.